.topi berfikir aku. 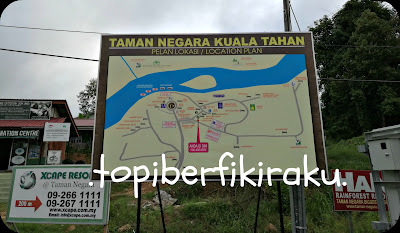 : .taman negara, pahang. 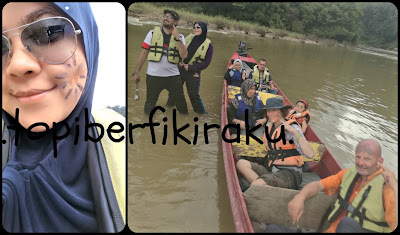 back to ejal & syitah's adventure. 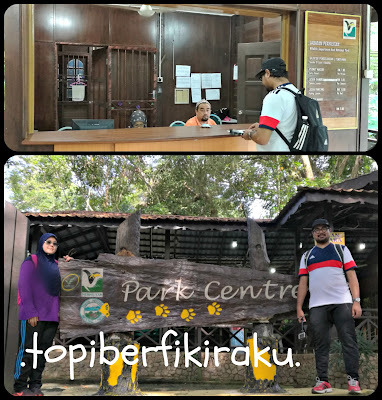 the first night in kuala tahan, we started our adventure with night safari. we sat in a pickup with another nine tourists, a driver and a guide equipped with a handheld spotlight. i won't recommend you this activity. all we did was drove up and down a well paved road while the guide shone his spotlight to the left and right of the vehicle. all the while, hoping that we would get lucky and caught a sight of nocturnal animals. he did find a squirrel though. 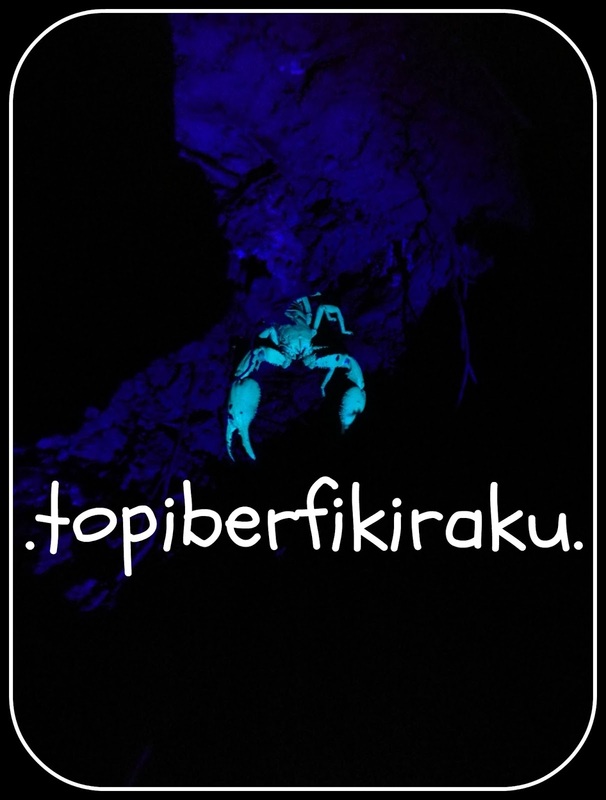 it was up on a tree, in the dark, about 600m in the jungle in front of us. we had a scrumptious breakfast the next day. ejal even had a second helping! 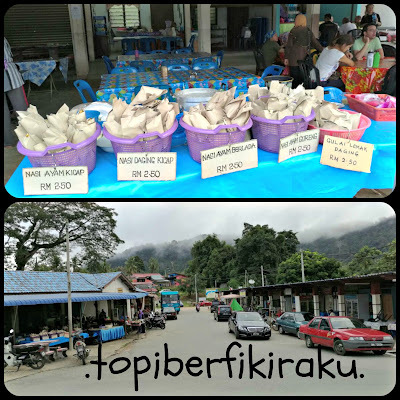 .an array of breakfast delights & the view of kuala tahan town. .gateway to taman negara via kuala tahan. 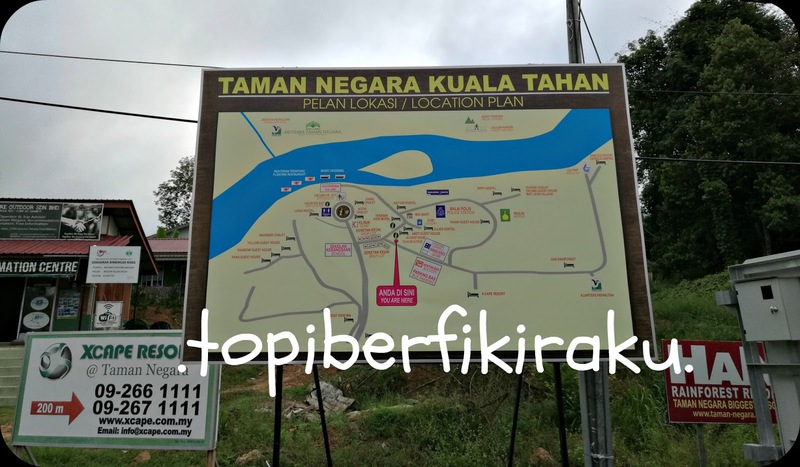 .paying the fees : permit MYR1.00/pax & camera MYR5.00. 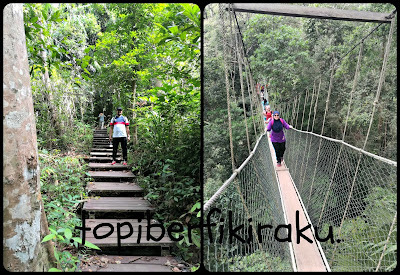 .jungle trekking & canopy walk. and demonstrating how we could utilize certain plants. we sure appreciate burning the extra calories too! 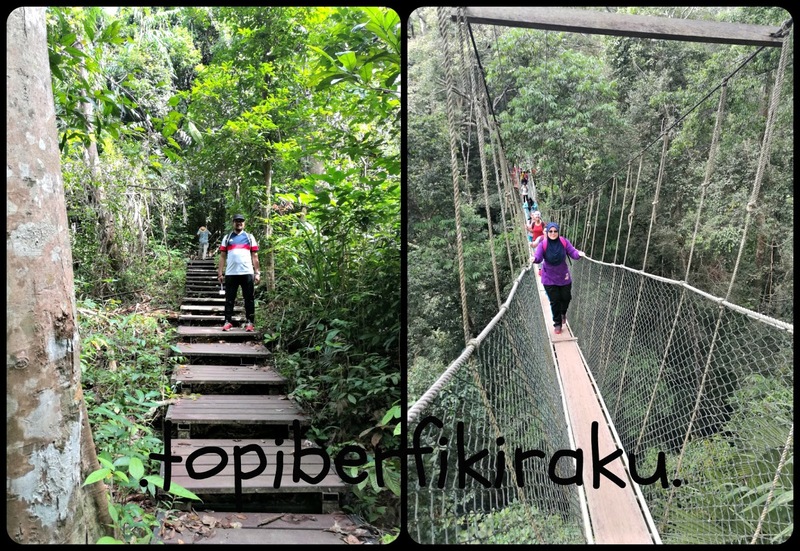 there were too many people lining up for the canopy walk. there was literally traffic jam on each platform! haris also showed us how to paint faces with clay. because he purposely rocked the boat while we went upstream to the orang asli village. ejal made a great shot with the sumpit! and what type of poison used for different types of animals. 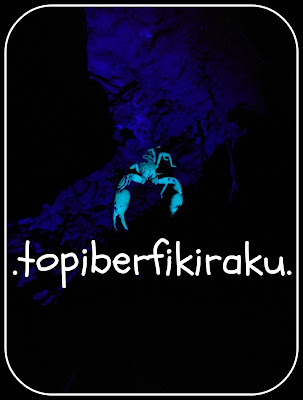 .met a scorpion during out night walk. another couple joined us for the jungle night walk. we were introduced to many plants and animals that night. a snake, luminescent fungi etc. there's any leech on me! 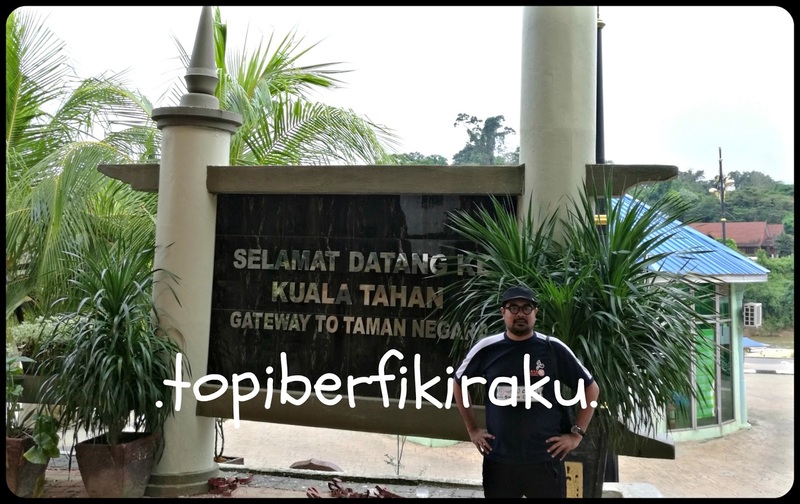 we paid MYR180/pax for this package. 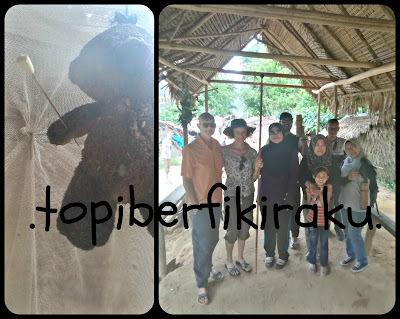 visiting orang asli village & jungle night walk.